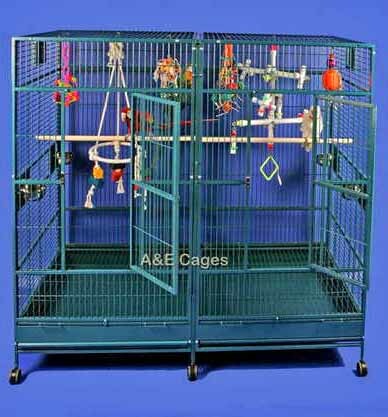 What's a bird cage breeder box door? 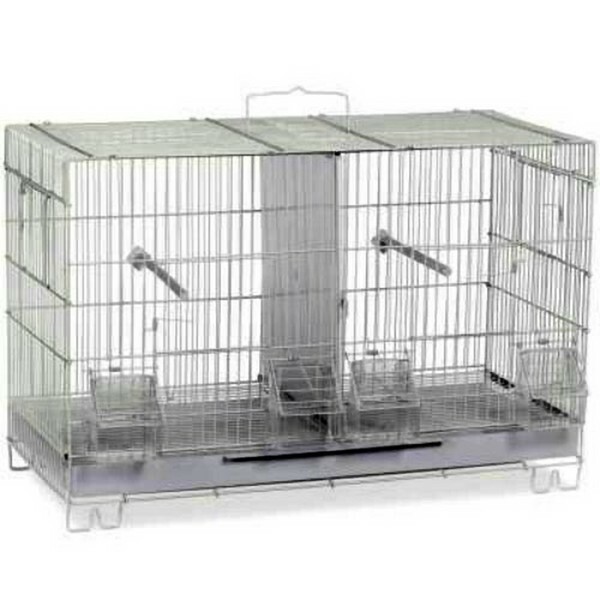 It's that door (with the circle around it)we get asked why they would put a feeder door there? 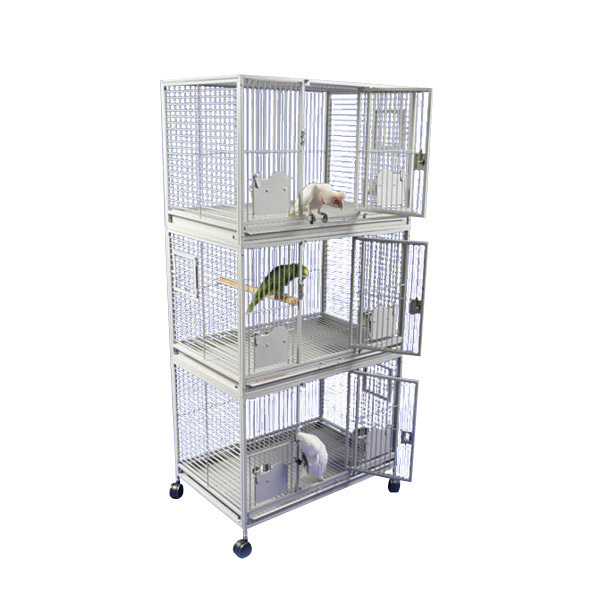 A metal breeder box, much like a heating duct with all six sides and a hole for and entryway, is required for larger species parrots. 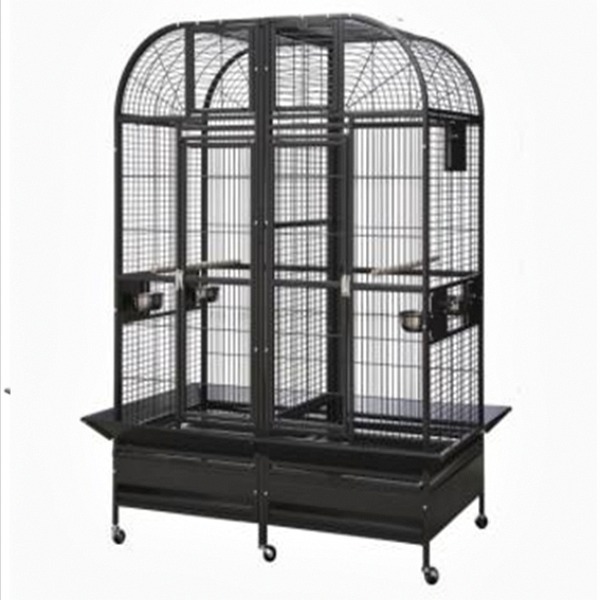 Usually chicken wire of some sort is installed in the metal nest and larger wood nest boxes so the birds can climb in and out readily. 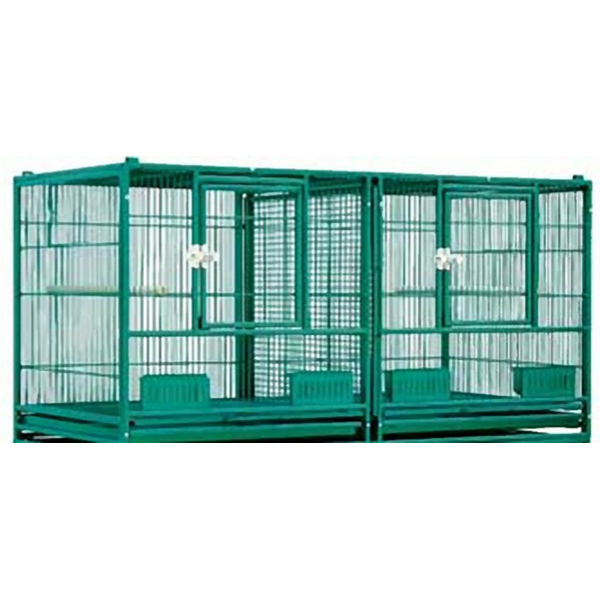 Hens will naturally fill the box with bedding, lay eggs and sit on the eggs until hatched. 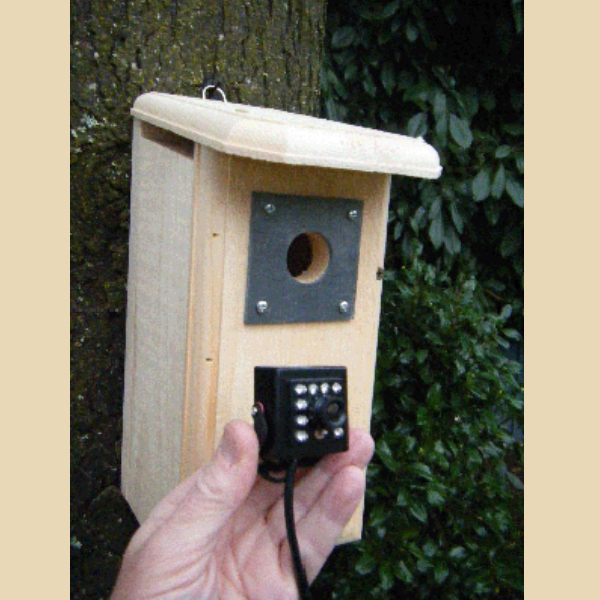 A small nest box can be 6" x 6" x 6". 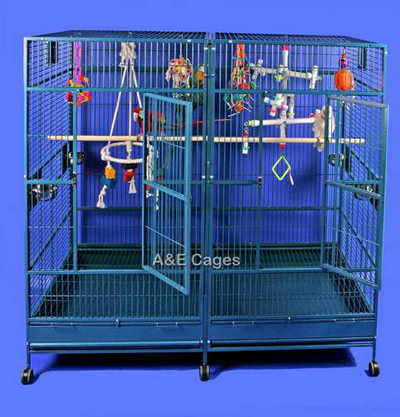 Nest boxes may be hung inside the cage. 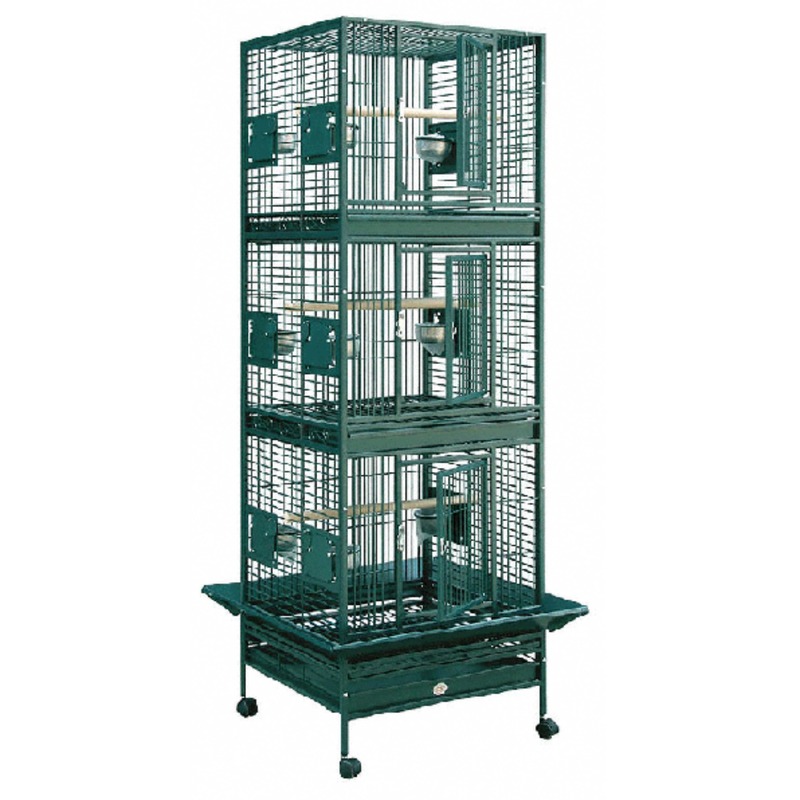 A large Macaw nest box can be 30" tall or more to accommodate the bird. 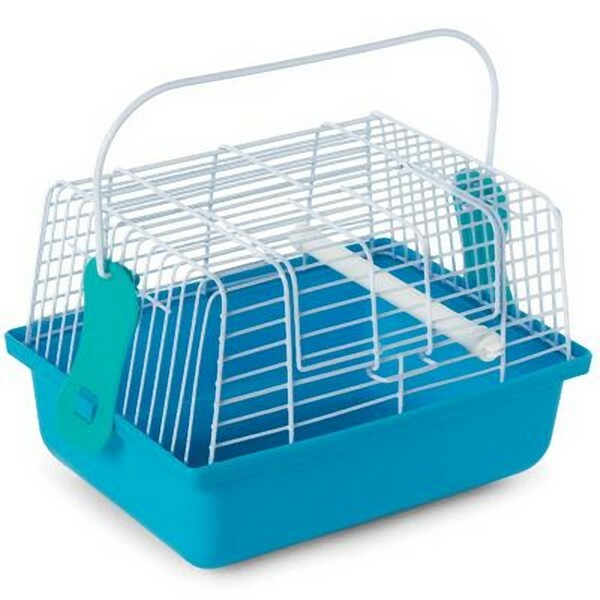 A box this large would occupy too much space in the bird cage. 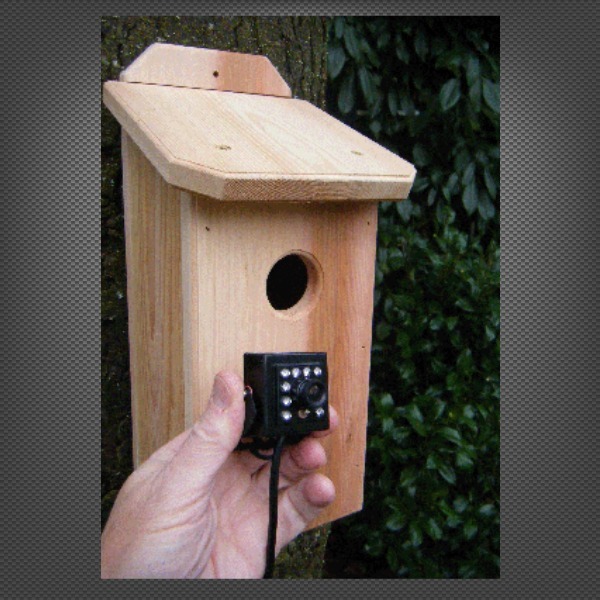 Thus nest boxes are hung outside the cage with the entry hole lining up with the nest box door. 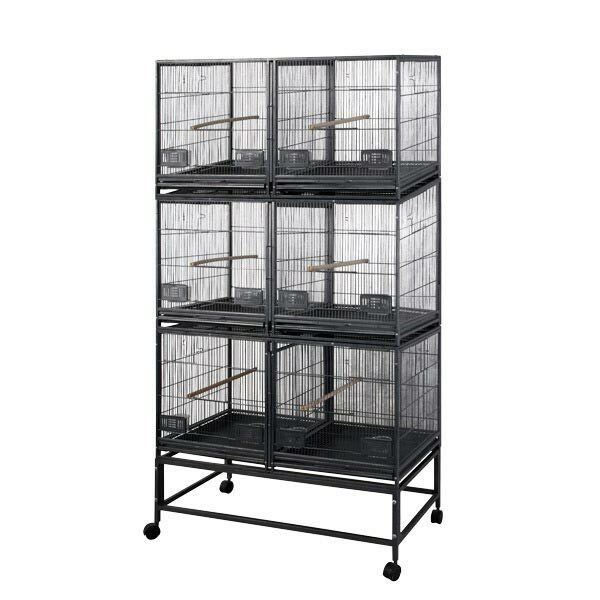 This enables the bird(s) to reside in the bird cage but have a room addition during the breeding process. 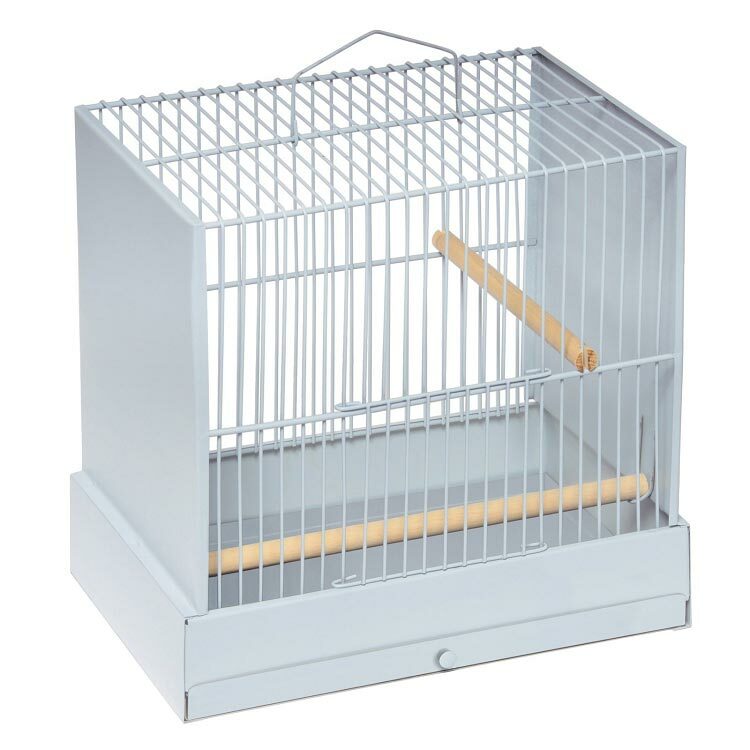 Until recently, bird owners would have to cut a square hole by sawing bars off the bird cage to hang an outside nest box. 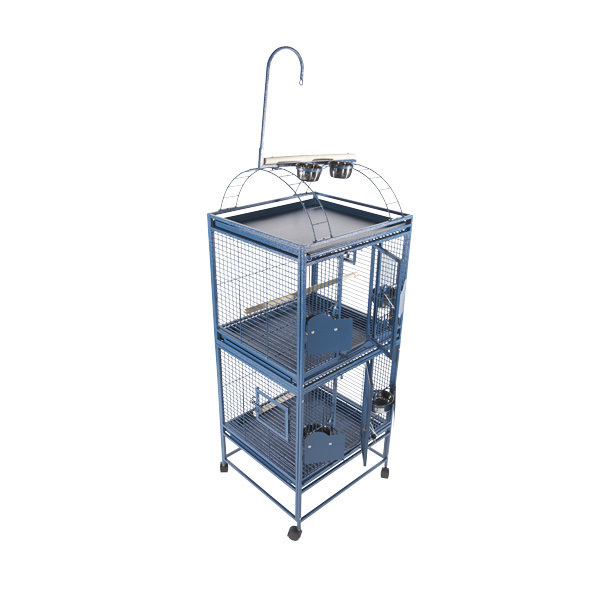 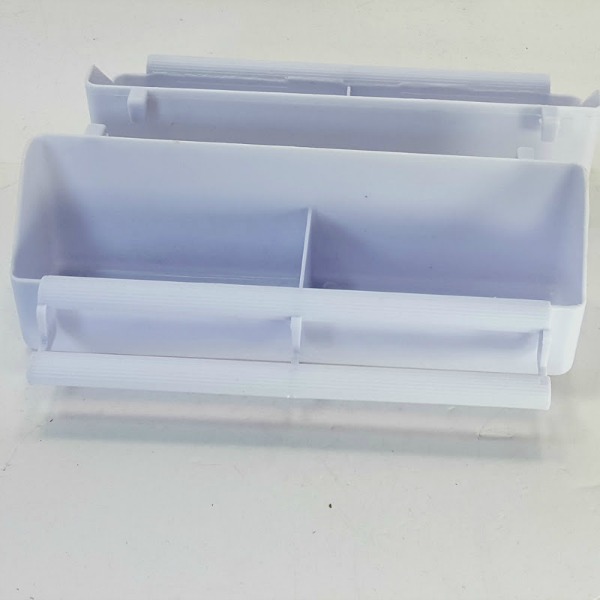 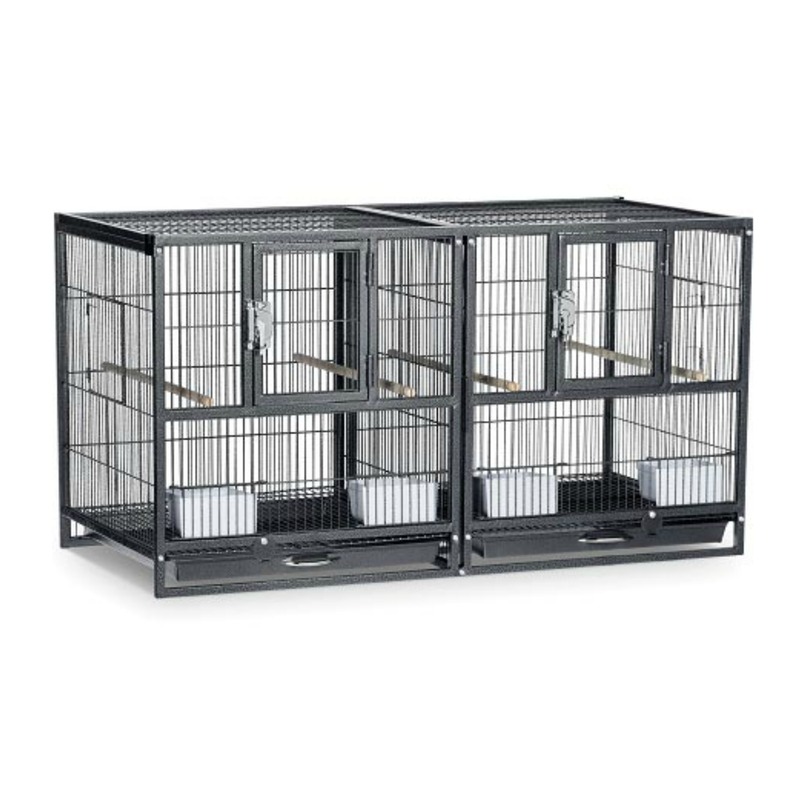 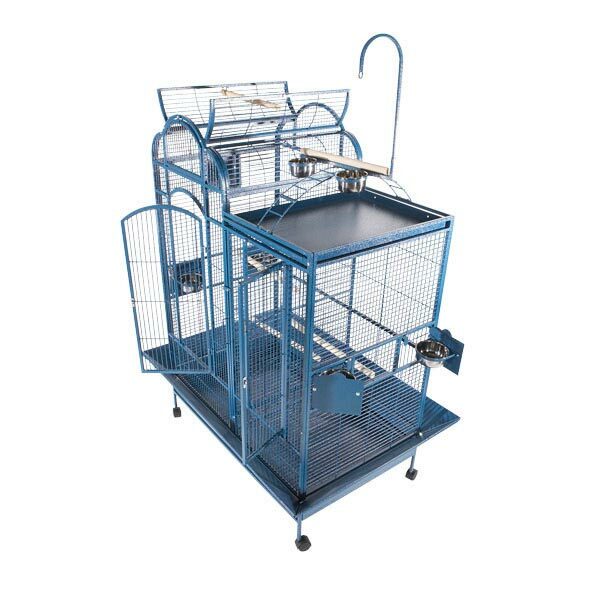 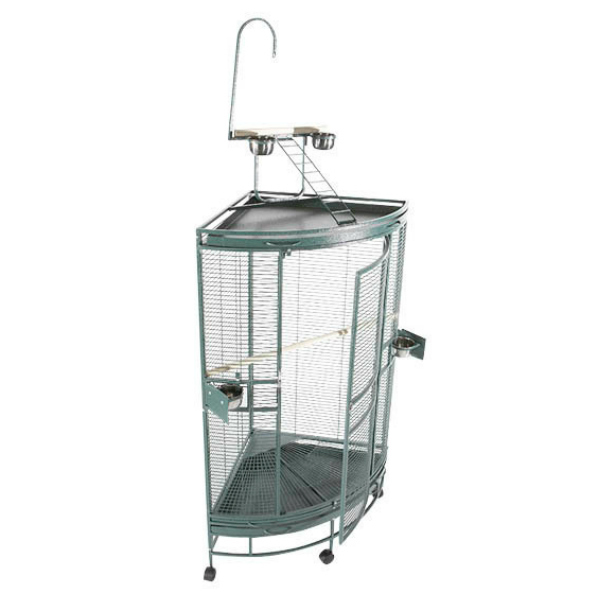 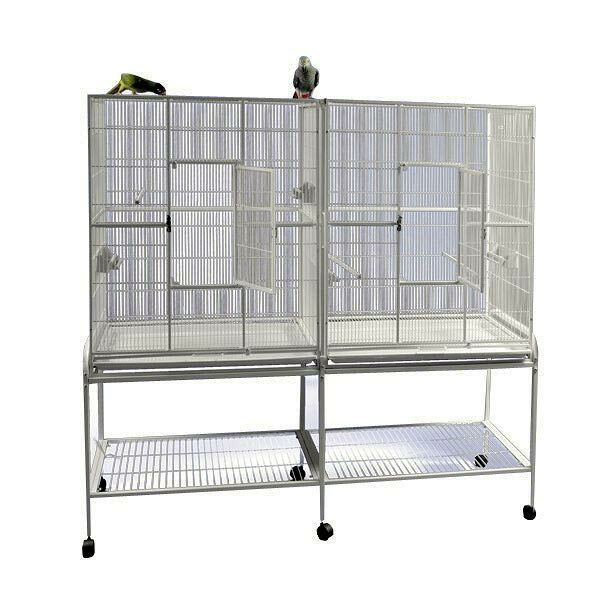 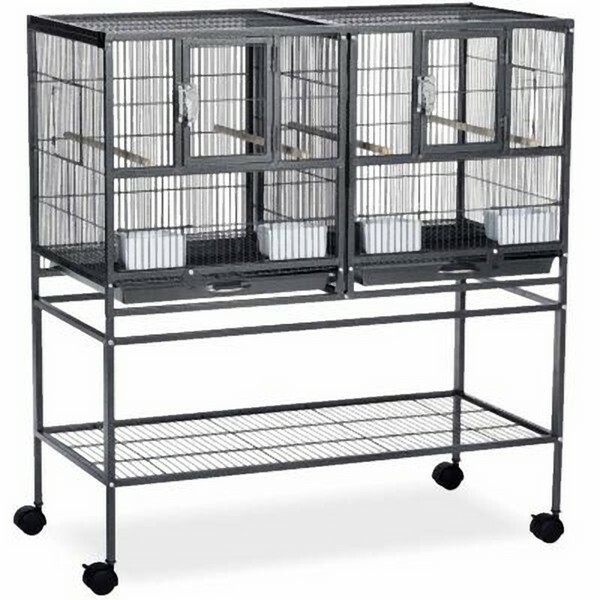 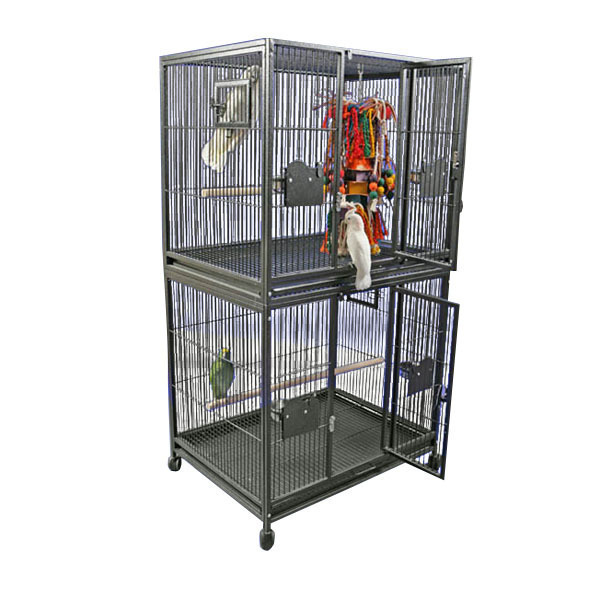 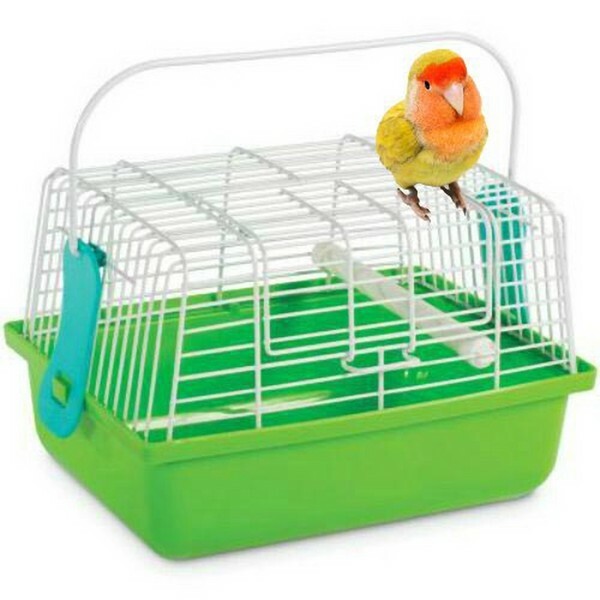 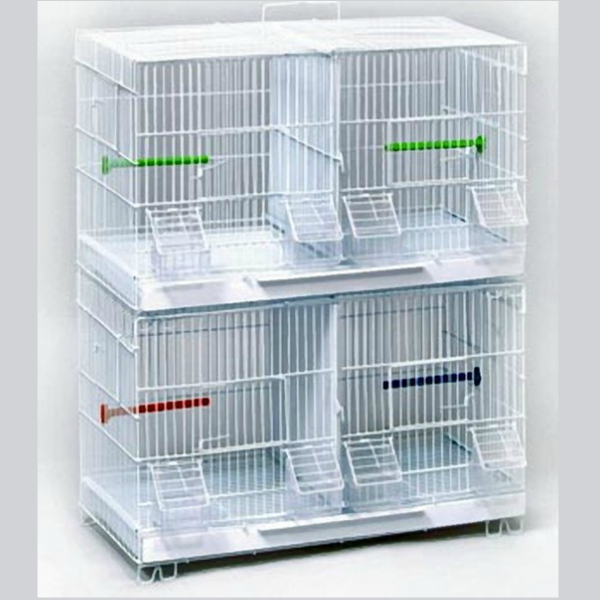 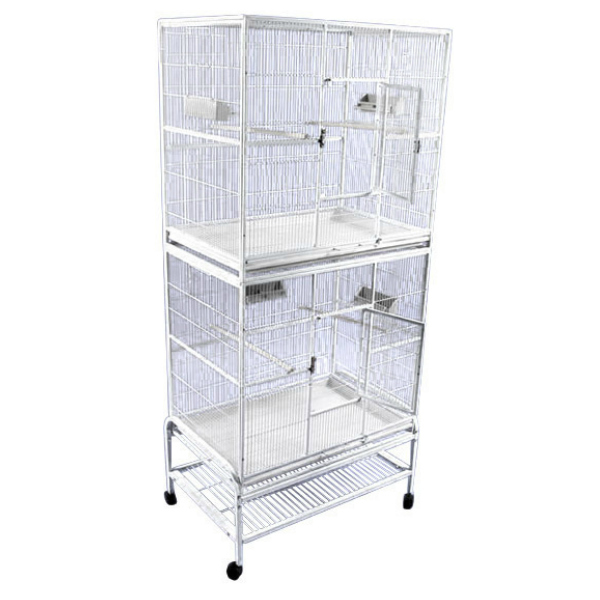 Due to improvements in manufacturing an additional door, similar to an extra feeder door can easily and economically be added higher on the bird cage to accommodate the nest box.